Geometric structure and Victorian brick pattern looks great on this print. A contemporary image of original Crystal Palace architecture still standing today. This is the 8th Giclée print that I've purchased and it's probably my favourite (I bought the matching tea towel!) 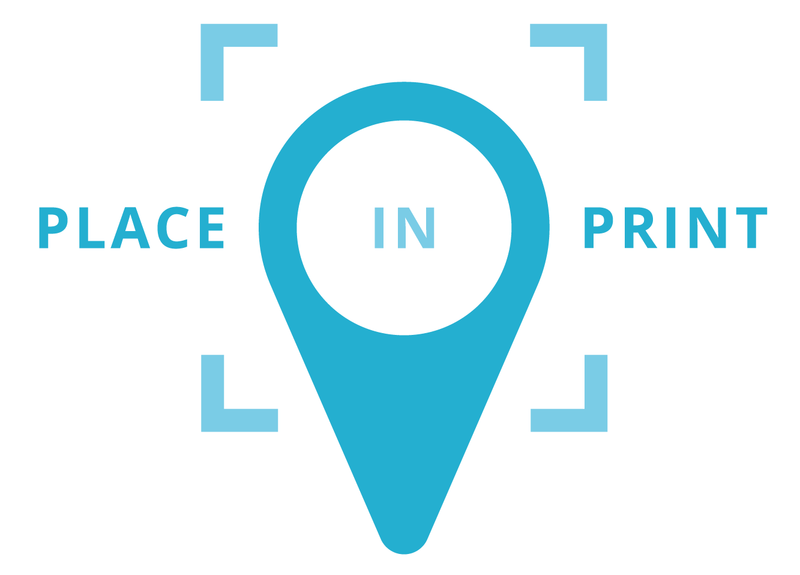 The quality of the printing is great and the white frame (available as an extra) are great value - a much better finish than I was expecting. Thinking about getting an extension to buy a few more of these! Very quick delivery and Ed was really helpful discussing different frame options. The Crystal Palace Subway is a hidden Victorian gem of a space, found beneath a busy road in Crystal Palace. It was once part of the route between the now demolished Crystal Palace High Level Station and the Palace itself. The subway is one of the few relics of that time that remain. Unfortunately only occasionally accessible to the public, the Subway has to be one of the most interesting spaces in South London. 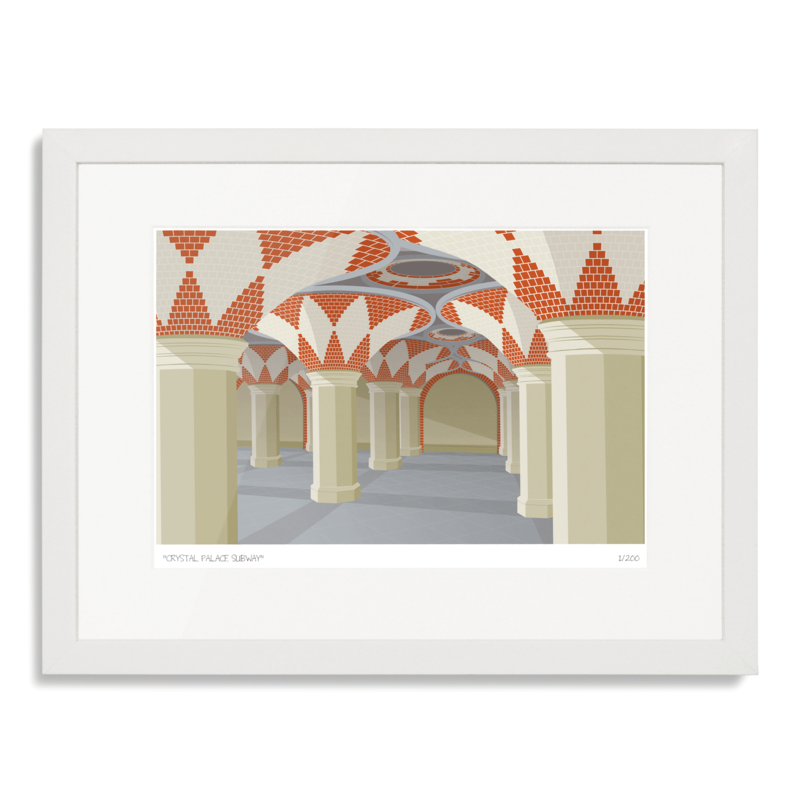 This limited edition illustration by South London Prints features an internal view of the Crystal Palace Subway. The scene is depicted using a limited colour palette, creating a strikingly simple image that characterises the structure's architecture.